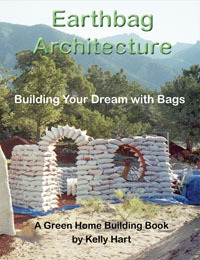 ...the Earthbag Construction System is proving to be fast, inexpensive, sturdy and environmentally friendly. It also does not require an army of professionals to build – just eager, willing and able people of both sexes and all ages. California Institute of Earth Art and Architecture. 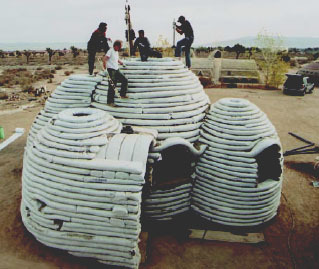 Diaz’s technology, however, which is an adaptation of Khalili’s Earthbag ceramic house method, uses material found right under people’s feet – soil. Other materials used are straw sacks and barbed wire for structural support, water pipes, oil drums for windows, and a little cement. 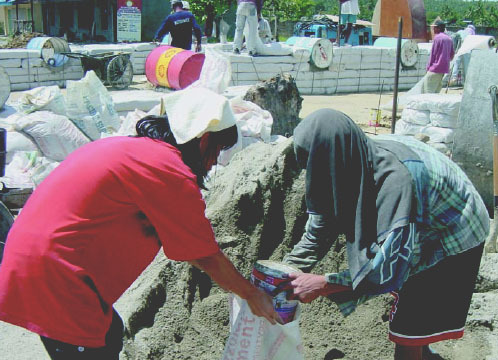 Diaz first put the construction innovation on display by building a model house made of ‘mud’ in Escalante, Negros Occidental, in the central Philippines in honour of a recently deceased aunt who had lived there. Then, realising many public school children in the Philippines, particularly those farthest from the capital city of Manila, barely had roofs over their heads as they attended classes, Diaz decided to launch a school building campaign that he hoped would be adopted elsewhere. 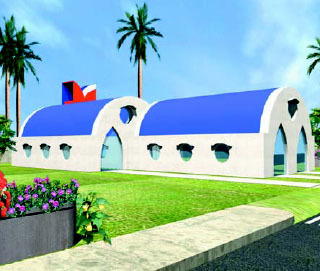 An architectural impression of a completed school’s design. The Californian team’s almost-complete dwelling before rendering. 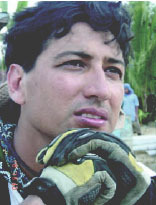 ‘Maybe the Western building techniques are not (appropriate) for developing countries,’ Diaz said. ‘Earthbag’ structures are also fireproof. Diaz said fire, in fact, ‘cooked the soil and turned it into brick’, strengthening the material in much the same way heat makes pottery stronger. Hence, Khalili calls his handiwork ‘ceramic housing’. Supposedly better able to withstand typhoons and earthquakes too, Diaz said the structures could last 50 years or more, and are then recyclable. They can remain where they are so dust can return to dust, even without help from humans, he said.